To achieve BACnet compliance, BASgateways make Modbus devices appear as individual BACnet devices. Using the concept of virtual routing, each connected Modbus device is treated as a separate BACnet device with object points representing only those Modbus registers selected from the addressed device. To make Modbus devices appear as individual BACnet devices a BASgatewayLX is used. 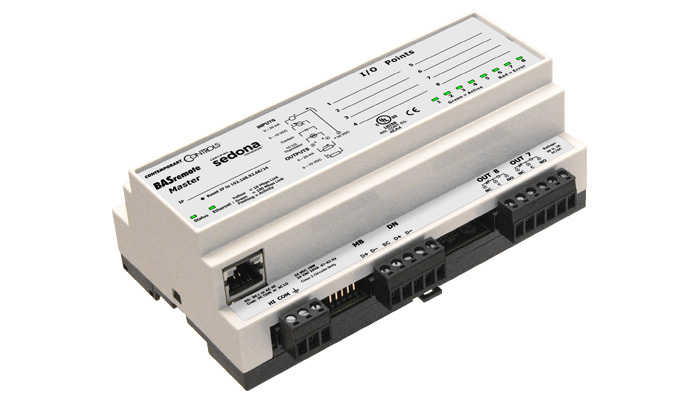 The BASgatewayLX supports up to 100 Modbus serial devices with each device appearing as an individual BACnet device. Modbus device profiles for common Modbus devices are available from Contemporary Controls and custom device profiles are created upon request, free of charge. The BASremote is versatile in that it is both a controller and gateway. Up to 63 half-load Modbus serial devices can be connected to the BASremote. 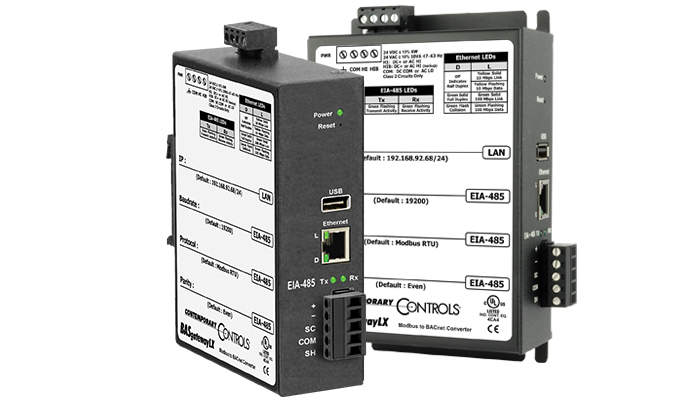 Modbus device profiles for common Modbus devices are available from Contemporary Controls.